The new OnePlus 2 goes on sale Tuesday, but there seem to be hiccups in the shipping of the device. The shipping of the smartphone in the U.S. and Canada is now scheduled to begin 2-3 weeks after shipments to Europe, OnePlus said in a forum post on Tuesday. The company isn’t, however, providing a firm arrival date. In a second forum post, the company said processing times in North America will be between 10 and 15 days, which means the first units should be by month end in the hands of consumers who have been able to score an invite. Consumers can still use invite codes to buy their OnePlus 2 starting Tuesday. It wasn’t clear what led OnePlus to reveal the delay at this late stage. The company blamed the delay on “production schedules” and apologized for any inconvenience it caused. Although some fans may be disappointed to hear the news, OnePlus said it would rather be transparent about the situation. Manufacturing is a big challenge for a small company like OnePlus, but its future success depends on getting it right. The smartphone market is extremely competitive and buyers can’t be expected to stick around if vendors can’t the deliver. 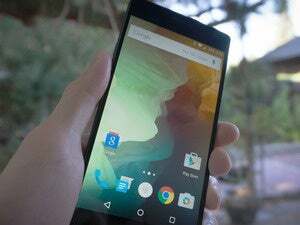 However, the OnePlus 2 is with its mixture of an aggressive price tag and good specs an alternative for frugal smartphone buyers that can’t be ignored.